The Rabbit Ice Bucket is an essential addition to any home bar. 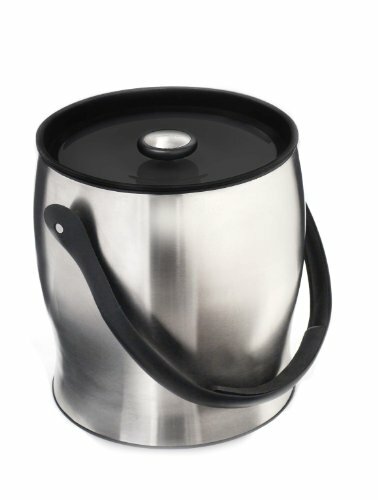 This stylish ice bucket keeps wine, champagne or soda refreshingly cool. The bucket features a robust 4-quart capacity, providing ample room for ice and several large bottles. A recipe booklet for ten popular cocktails is included. Designed for use with the Rabbit 6-Piece Bar Tool Set. This ice bucket is backed with a 5-year warranty. This stylish ice bucket keeps wine, champagne or soda refreshingly cool. The bucket features a robust 4-quart capacity, providing ample room for ice and several large bottles. A recipe booklet for ten popular cocktails is included. Designed for use with the Rabbit 6-Piece Bar Tool Set. This ice bucket is backed with a 5-year warranty.